Chimamanda Ngozi Adichie weaves together the lives of three characters swept up in the turbulence of a seminal moment in modern African history: Biafras impassioned struggle to establish an independent republic in Nigeria in the 1960s, and the chilling violence that followed. A masterly, haunting new novel from a writer heralded by The Washington Post Book World as the 21st-century daughter of Chinua Achebe, Half of a Yellow Sun re-creates a seminal moment in modern African history: Biafras impassioned struggle to establish an independent republic in Nigeria in the 1960s, and the chilling violence that followed. With astonishing empathy and the effortless grace of a natural storyteller, Chimamanda Ngozi Adichie weaves together the lives of three characters swept up in the turbulence of the decade. Thirteen-year-old Ugwu is employed as a houseboy for a university professor full of revolutionary zeal. Olanna is the professors beautiful mistress, who has abandoned her life of privilege in Lagos for a dusty university town and the charisma of her new lover. And Richard is a shy young Englishman in thrall to Olannas twin sister, an enigmatic figure who refuses to belong to anyone. As Nigerian troops advance and the three must run for their lives, their ideals are severely tested, as are their loyalties to one another. Epic, ambitious, and triumphantly realized, Half of a Yellow Sun is a remarkable novel about moral responsibility, about the end of colonialism, about ethnic allegiances, about class and raceand the ways in which love can complicate them all. Adichie brilliantly evokes the promise and the devastating disappointments that marked this time and place, bringing us one of the most powerful, dramatic, and intensely emotional pictures of modern Africa that we have ever had. The questions, discussion topics, and suggestions for further reading that follow are intended to enhance your group's conversation about Half of a Yellow Sun, a richly imagined story of the disastrous war between Nigeria and Biafra, largely forgotten in the West, which won the 2007 Orange Prize in Britain and was a finalist for the National Book Critics Circle Award. 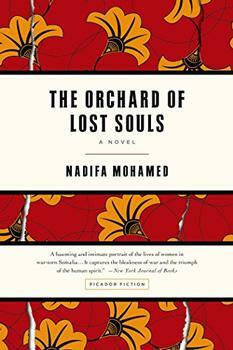 Adichie delivers a searing, never dry, history lesson packaged into a strong and deeply effecting, even sensuous, story seen primarily through the eyes of the wealthy and well connected twin sisters Olanna and Kainene, and the particularly compelling character of Ugwu, the 13-year-old peasant houseboy of a radical university professor. (Reviewed by BookBrowse Review Team). Half of a Yellow Sun strikes one as a fresh examination of the ravages of war [because] of Adichie’s poignant handling of human emotions, in a range of circumstances from romance to conflict. An immense achievement . . . as well as freshly recreating this nightmarish chapter in her country's history, she writes about the slow process by which love, if strong enough, may overcome. Absorbing . . . I couldn’t put the book down . . . [a] leap forward in the career of a very talented writer. ..the story line is not as well developed as the setting, and the characters fail to emerge fully. Not as great as the sum of its parts. A transcendent novel of many descriptive triumphs... a searing history lesson in fictional form, intensely evocative and immensely absorbing. Adichie has masterminded a commanding, sensitive epic about a vicious civil war that, for all its particular nightmares, parallels every war predicated by prejudice and stoked by outside powers hungry for oil and influence. Brilliant . . . A stunning sophomore effort ....this is what great fiction does – it simultaneously devours and ennobles, and it is freely acknowledged invention comes to be truer than the facts upon which it is built. Astonishing . . . fierce and beautifully written. Chimamanda continues to lead us from the front with her powerful new book. So much of the experience of our generation of Africans is about how we find ourselves reacting to our times based on wars and battles and events that we know little about, but which continue to define us. We need to take control of our history, so we can manage our present. And it is this idea that is the inspiration behind this novel . . . . Half of a Yellow Sun is honest and cutting, and always, always human, always loving . . . . 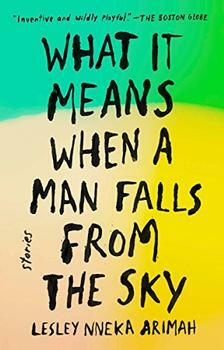 It is a pleasure to read Chimamanda’s crisp, resonant prose. We see how every person's belonging is contested in a new nation; find out that nobility of purpose has no currency in this contest; how powerfully we can love; how easily we can kill; how human we can be when a war dedicates itself to stripping our humanity from us. Half of a Yellow Sun is ambitious, impeccably researched . . . Penetrating . . . epic and confident. Adichie refuses to look away. We do not usually associate wisdom with beginners, but here is a new writer endowed with the gift of ancient storytellers. Chimamanda Ngozi Adichie knows what is at stake, and what to do about it. Her experimentation with the dual mandate of English and Igbo in perennial discourse is a case in point. Timid and less competent writers would avoid the complication altogether, but Adichie embraces it because her story needs it. She is fearless, or she would not have taken on the intimidating horror of Nigeria's civil war. Adichie came almost fully made. Chimamanda N.A has taken Nigerian literature to its modern form. Her 'Half of a Yellow Sun' in no doubt has proved this. An excellent book - well written, deep character development, and very informative about countries in civil war. Located on the west coast of Africa, Nigeria (map) is the most populous country in Africa (~122 million in an area about double that of California). It became a state in 1960 when it declared its independence from Britain. In 1966 a series of coups and counter coups started that continued until 1999 (other than for a short lived "second republic" from 1979-1983) when democracy was regained.